Experienced and highly-trained, Keiron has worked within the Information Technology industry for many years. He's worked with organisations such as Dell, the NHS, Computeach, Aldi and more. From providing technical support, to co-ordinating national, multi-million pound projects. 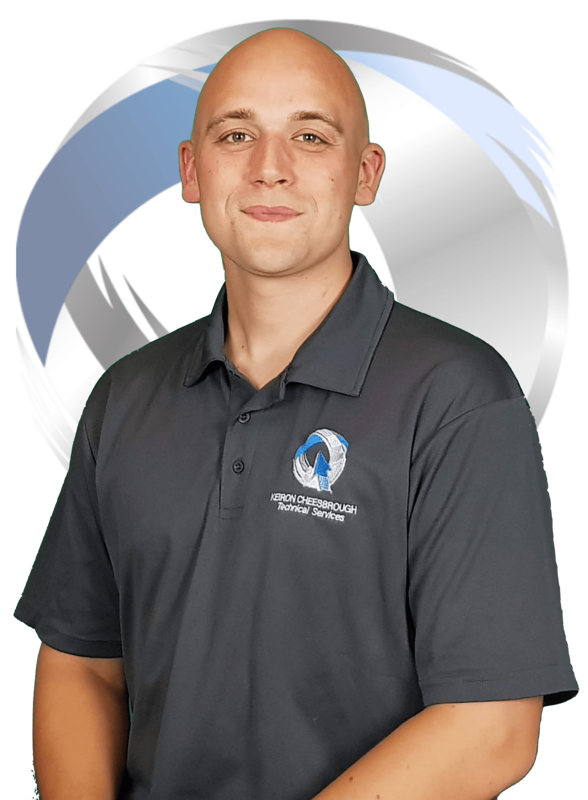 Keiron has certifications from Apple, Microsoft, Adobe, CIW, Hikvision, Dahua, City & Guilds, CompTIA and many more. You’ll often find Keiron on the road working with clients, installing or training engineers. Keiron has obtained a number of certifications from leading industry vendors and organisations. The initial telephone call and advice was very informative and the quotation was carried out in the next few days. Kieron and Gaz were most helpful in deciding the best camera positions and the installation was carried out very professionally. They worked neatly and the system was explained fully, including the set up on TV and mobile devices. I would definitely recommend. Excellent customer experience with KCTS! Keiron is professional and understood what we needed. There was no hassle and if we had any questions, he would come back to us straight away. Would definitely recommend to all. Keiron and Gaz did an excellent job installing our Ring products they both were very professional, trustworthy and provided excellent workmanship. The job was completed to a exceptional standard and exceeded our expectations, upon completion of our job he was also recommended to complete work for our extended family after providing such a fantastic service. We will definitely be using and recommending keiron in the future. Professional, trustworthy, excellent workmanship. Could not recommend Kieron enough, after completing my property he was also recommended to complete another 3 of my friends after such fantastic work. Cheers Kieron!! First class service to install a CCTV camera. Superb workmanship and takes time to explain what is required and work to be done. Very proffesional and keiron is always on hand if any problems worth the money. Very Professional, Free demo was tailored to my needs no pressure on purchase. Once CCTV was installed they explained and showed how the new system will work in my home also excellent after service I have recommended his service to family and friends. Brilliant work carried out very professional would recommend. I highly recommend Keiron's service. Keiron says he is an engineer not a salesman.... Keiron did not disappoint. It's true based on my experience. Absolutely Brilliant in every way, Keiron fitted my CCTV in,even working around some other workmen who where doing a big job in my home at the same time. We provide services to all, private individuals, small businesses and larger industrial firms. Shops, offices, hotels, restuarants, garages.